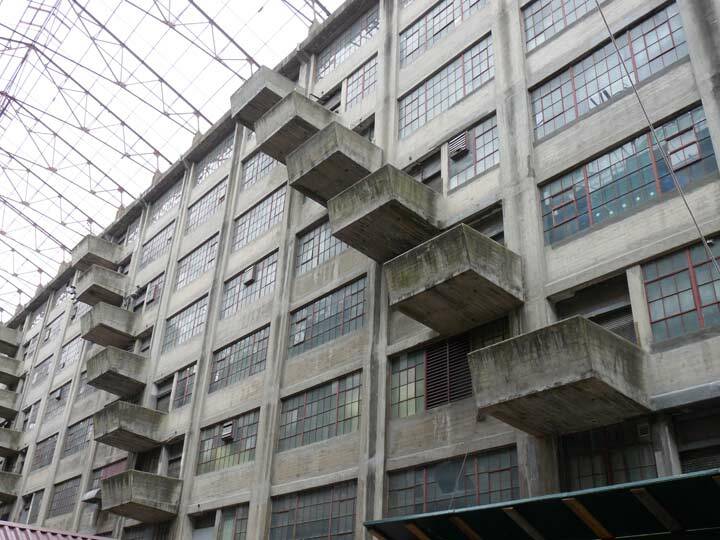 The Brooklyn Army Terminal, once a huge part of Brooklyn’s maritime manufacturing scene, was completed by famed architect Cass Gilbert in 1918 and is situated between 2nd Avenue, the waterfront, 58th Street and Shore parkway. The waterfront is less active now, but BAT is still a bustling, imposing complex occupied now by private businesses and manufacturers. Elvis Presley isn’t a name you’d normally associate with the Long Island Railroad, or even Sunset Park or Brooklyn, for that matter. Elvis almost always traveled by plane, and if not a plane, by pink Cadillac. Actually, what may be the only occasion Elvis spent in Brooklyn was one of the more celebrated incidents in his life: the day he shipped out to Germany in September 1958, after he had been drafted, breaking the hearts of women from Portland, Maine to Portland, Oregon. Elvis took a troop train from Fort Hood, Texas to the Brooklyn Army Terminal, where his transport vessel was docked, with 350 other soldiers. His likely route to Brooklyn involved traveling under the Hudson to the Sunnyside Yards, where the train moved backwards, switching to the Montauk Branch in Long Island City, then through Maspeth before switching to the Bay Ridge Branch at its junction in Glendale, then down through East New York, Flatbush and Bensonhurst to the end of the line in Bay Ridge at the Army Terminal. 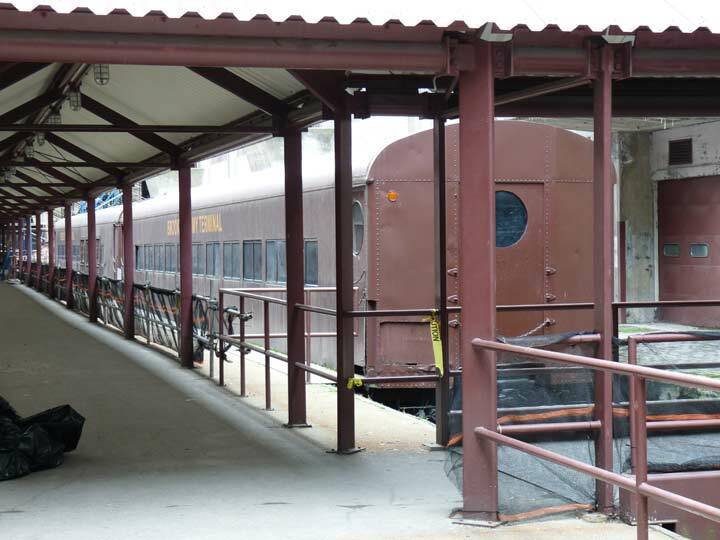 The tracks in the terminal are still there, and a replica Long Island Rail Road car that must look much like the one that Elvis rode that day is on display. If the long-talked about crosstown subway connecting the Brooklyn waterfront with the Bronx via the Hell Gate Bridge is ever developed (hint: it won’t) there is a ready-made terminal here at the BAT. 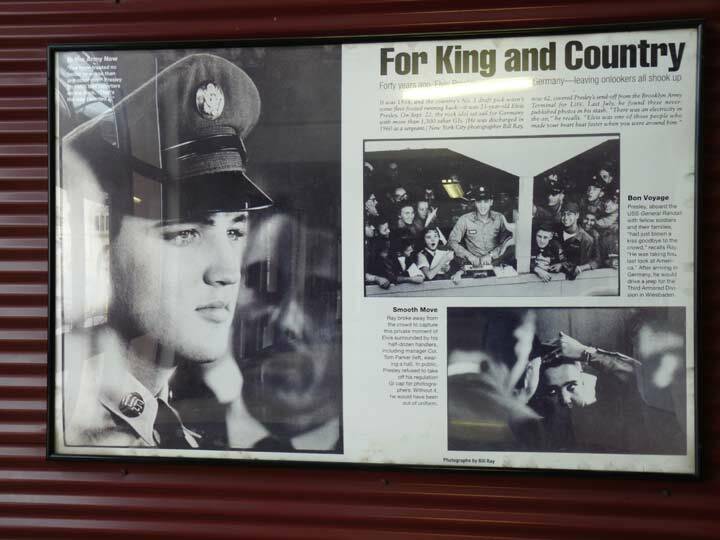 Marc Kirkeby writes in Brooklyn: A State of Mind that Elvis arrived at the army terminal to a crowd of reporters, cameramen, RCA Records executives, Army officials, and the 382nd Army Band, which played renditions of some of the King’s hits like “Hound Dog” and “All Shook Up.” Elvis spent an hour answering reporters’ questions and posing for pictures on the gangplank of the USS General Randall which was docked at the terminal. Colonel Tom Parker, Elvis’ manager, never missed an opportunity to get milk from a stone and so, RCA Records would release the q & a session on an extended-play (EP) disc: “Elvis Sails”; a 2:54 excerpt was included on Elvis, 50 Worldwide Gold Hits, Vols. 1 & 2. Is that railroad coach in the photo currently at the Brooklyn Army Terminal? 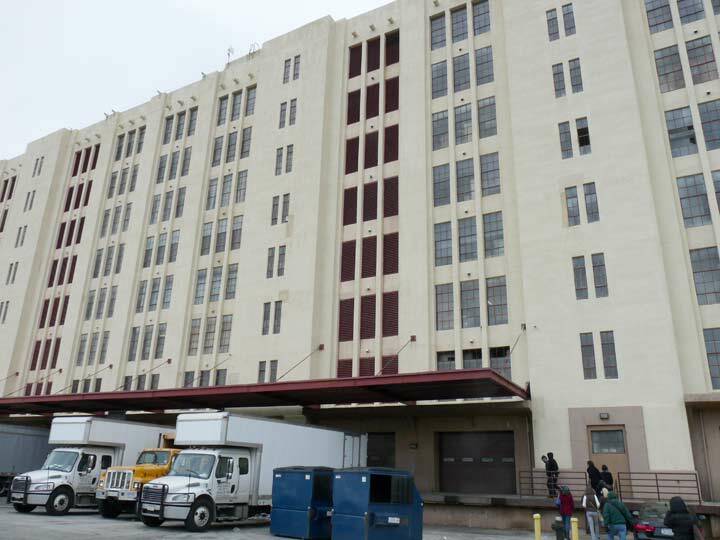 Does it serve any function at Brooklyn Army Terminal? It is not a replica, but a real ex-LIRR P72 coach that operated in regular service between 1955 and 2000. I was there about 18 years ago (the company I worked for at the time was planning to lease space there but it didn’t work out), and I believe there were a few LIRR cars parked there which served as a restaurant. Nice shot of the “porches”, and the overhead cranes are also still up there under the skylight, with which they used to load and unload the trains onto the various storage floors. The floors were built strong enough to support trucks and tanks. No mention that BAT was occupied by the US Postal Service as well. About 25 years ago, as I waited on a checkout line at Pergament in New Hyde Park (another casualty of the retail wars) I found a $5 CD featuring many of Elvis’ early hit songs. As a bonus, the last tracks featured portions of Elvis’ dockside interview before the troop ship sailed for W. Germany. It was a great impulse buy, but alas, before I composed this, I searched our remaining CDs for it & it has disappeared (sigh). 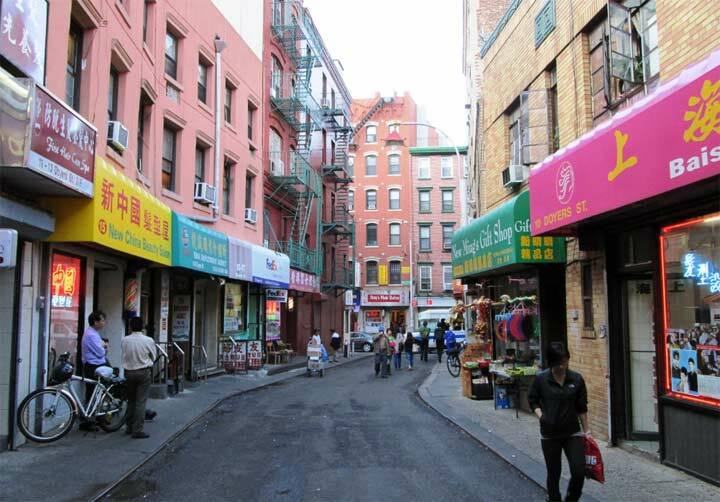 That great book “Last Exit to Brooklyn” takes place mostly around the Army Terminal neighborhood. Tra-La-La,Vinnie,Harry Black,Spook and Tommy-all those wonderful characters.A must read. An old seaman told me that a bar called The Magnet was where the action was back then and there. M any years ago in my youth, along with my father, I went to the BAT during armed forces week for a tour . I was told by one of the guides that there were submarine docking facilities for use during WW2 in the lower levels of some of the buildings. Anybody know if he was truthful or was he just making it up as he was going along?? ?